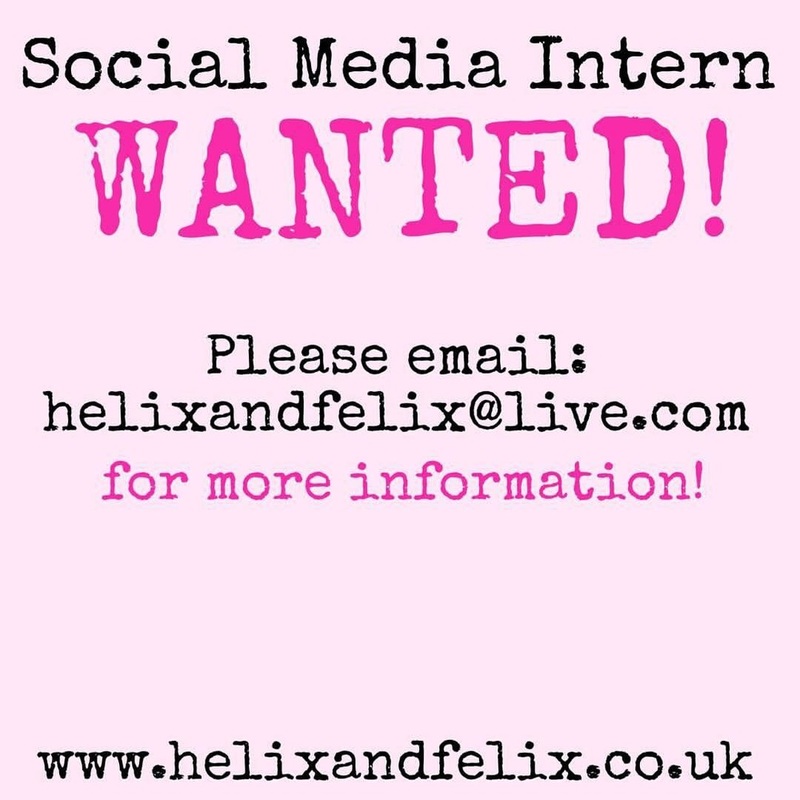 We'll looking for a social media intern to help us with all of the social media aspects of the business. From writing weekly blogs to expanding the social media presence of Helix and Felix. There'll be loads of opportunities to promote the brand. Interested in gaining some work experience within the fashion and retail industry? This position is a flexible part time position and would best suit a student studying an advertising, marketing or social media degree. The applicant must live in either of the following areas: North Wales, Chester, Cheshire, Liverpool or Manchester.